When was the last time you received a gift, in the mail, just for you?? One you can chose to share or keep to yourself?? One that brings beauty and enjoyment into your life??? 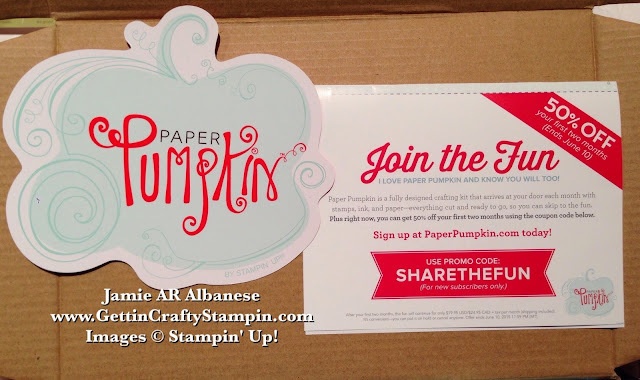 Join the Paper Pumpkin Membership - an exclusive club of fun people who receive an all-inclusive kit that is filled with fun paper-crafting projects. These kits will take you about 30 minutes to create something beautiful. We can all (barely, I know) spare 30 minutes a month (even this busy mom of 6!). Right now NEW Paper Pumpkin subscribers can skip to the fun for less! 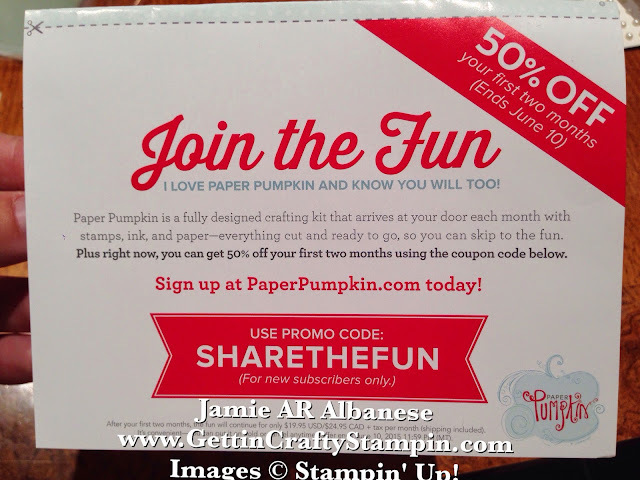 Get 50% off your first two months of Paper Pumpkin when you sign up by June 10. Go to PaperPumpkin.com and use promo code: SAVE50. After your first two months, keep the creativity coming for just $19.95 USD/$24.95 CAD + tax per month (shipping included). Each month a fully designed project kit will arrive at your door with stamps, ink, and paper—everything cut and ready to go. Sign up at PaperPumpkin.com by June 10 with promo code SAVE50! It's so easy to get started. Simply sign up for the program by visiting mypaperpumpkin.com and click Get it. Pick ME, Jamie Albanese. Come TRY The Fun!! My girlfriends and I have these great kits coming and do them with our daughters! With great tutorial videos to create these easy but fun projects, you can do it as it suggests or take it up a notch when you modify it to your own style! Try the first two months for only $10! See what all the crafting fun is about. 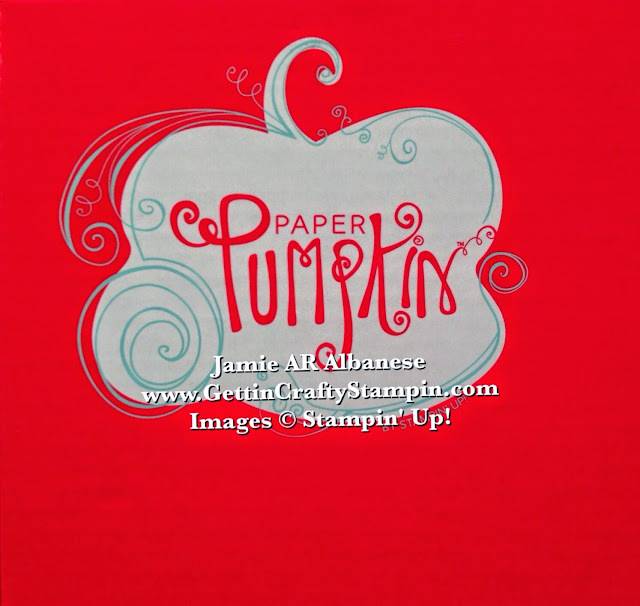 Join US in creating these kits for only $5 at our Paper Pumpkin classes!